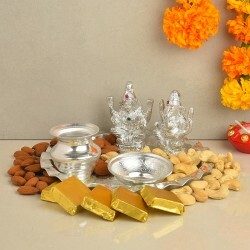 Diwali Sweets - Greeting family and friends on Diwali with sweets and dry fruits has been a part of the tradition for a very long time. This year, buy sweets and dry fruit hampers online for your loved ones online from MyFlowerTree and get the best quality delivered at your doorstep with few clicks. 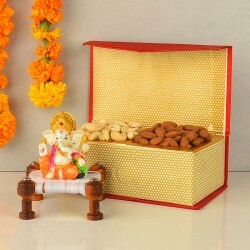 Diwali can never be celebrated by the goodness of dry fruits and deliciousness of sweets. 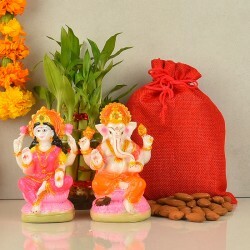 These two are among the traditional gifts which are exchanged among friends and family on the occasion of Diwali. Since Diwali is the most celebrated festivals in India, we decided to give these all-time favorite sweets n dry fruits a unique touch. Make Deepavali 2017 a memorable event for your family and friends. Find the best quality products online on this Diwali. 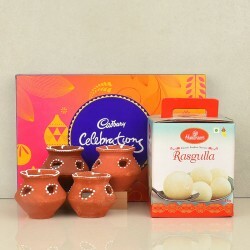 As far as Diwali sweets are concerned, we have everything in our store that you will need. 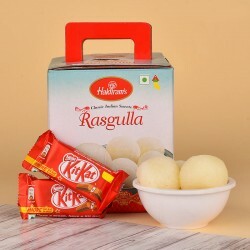 You can expect all-time favorites like gulab jamun, kesari gandheri, rasberi, soan papdi, soan haldi, kaju rolls, kaju katli, peda, rasgulla, sponge rasgulla, kesari gandheris and more at our online and offline store. 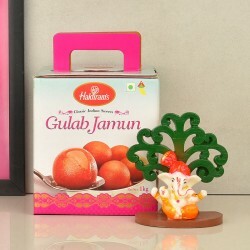 These sweets are sourced from the most trusted brands which will add lots of sweetness in your festivities. 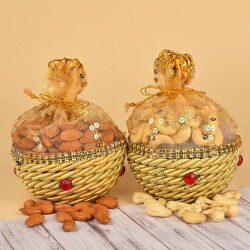 For Deepavali dry fruits, we have beautiful potlis and thalis loaded with the top quality dry fruits like pistachios, almonds, cashew nuts and raisins. These sweets & dry fruits are super special. 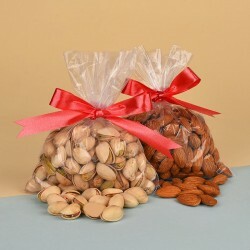 Whether you want to buy these sweets and dry fruits separately or in a combo, the choice is all yours. 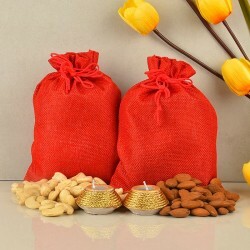 You can buy these dry fruits and sweets online too! 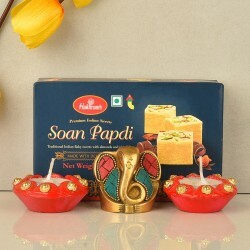 Now skip the market queues and the hassle of the traffic and buy the most celebrated Diwali favors online from us. 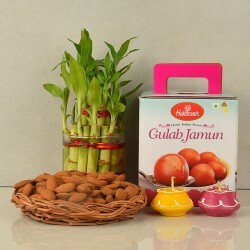 If you want Diwali gift ideas other than dry fruits and sweets pairing like gulab jamun and dry fruits, you can find that too on our website. For those who want their celebrations to be one of a kind, we have other gift combos like flowers and cakes, flowers and chocolates, dry fruits and cakes, cakes and greeting cards, candles and sweets, lamps and cakes and more. 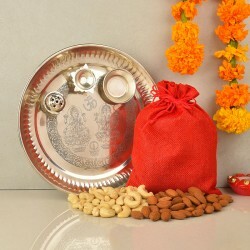 Sometimes, we need special Diwali gift hampers which are sent to very important members like the family of the groom and the family of the bride. 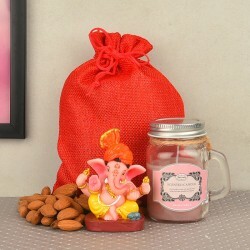 For such special demands, we have royal Diwali gift hampers which are an amalgamation of not just one or two but many types of goodies. Surprise your future in-laws with something thoughtful and amazing on this Diwali. Send sweets n dry fruits to your friend and family members irrespective of whether they live in India or in some other part of the world. 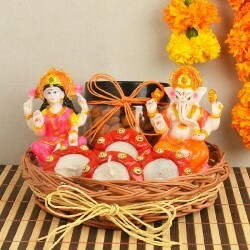 We want Diwali to be the festival that brings all the near and dear ones even closer. Whether your loved ones live in a village, outskirt area, different city or a different country, with our online delivery services, you can send your greeting to your loved ones. Do not let a few miles ruin any festival for you. Make the best out of our products and services and surprise your loved ones with premium quality products. Do not waste a single second and place your orders with us now! Products in this category have been rated 4.8 out of 5 based on 112 reviews.